End of the year. [601-645] – this luminous life. December 30, 2016 January 2, 2017 ~ Laura N.
I had a whole post typed up about why it didn’t really feel like Christmas for us this year. It was full of a lot of rambling emotion and more information than you probably needed. Upon reading it, I realized that it wasn’t something I wanted to dwell on or remember in the future, so I erased it. I was still happy about Christmas. My favorite time of the year. And I’m thankful for my family doing their best to share a little Christmas with us this year, even from miles away (this was my first Christmas away from ‘home’). And I’m thankful that my husband did not work on Christmas (he worked over Thanksgiving) so we were able to enjoy the holiday together, the three of us, our new little family. I’m looking forward to the year ahead. Praying that it will be an easier year than the last two. Praying that next year will bring more joys and successes than the last two. Praying for peace. Praying for calm. Praying for positive change. And with that, here the final gifts I thought to note for 2016…. 601. gingerbread cookies. 602. foggy morning. 603. sliver of sunlight at the end of the day. 604. kisses upon soft baby cheeks. 605. white holiday lights. 606. magazines in the mail. 607. fleece leggings. 608. slippers. 609. warm electric blanket. 610. peppermint candy. 611. fluffy, cozy black cat being a sleepy bum. 612. jealous dog love. 613. first snowflakes on the ground. 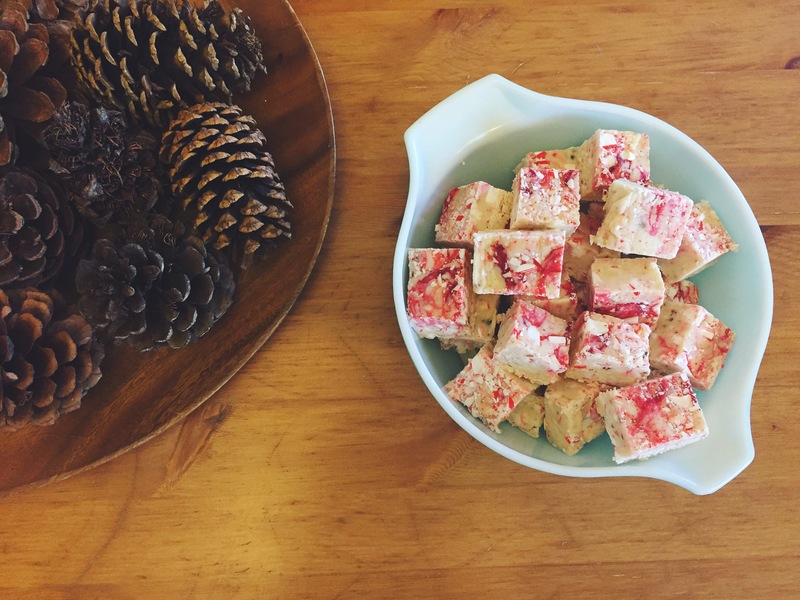 614. peppermint fudge. 615. peppermint mocha. 616. smile in my baby’s eyes. 617. swaddle blankets. 618. strong mama hen surviving a fight with a predator. 619. chickens taking care of each other. 620. finding baby chick alive after thinking it was dead. 621. holiday brunch with dear people. 622. warm, sticky cinnamon rolls. 623. holiday dinner with a group of wonderful people. 624. lovely house all decked out for the holidays. 625. wintergreen. 626. white fir. 627. clean baby after a bath. 628. baby sleeping a lot at night. 629. unusual sixty-degree day sandwiched between two cold days. 630. cinnamon-scented pine cone decorations. 631. icy imprints of frozen leaves. 632. husband working long hours to keep us financially afloat. 633. marvelous Christmas program performed by the kids at my church. 634. real smiles from my little baby! 635. Kyle being home for not just one but three days! 636. baby being awake for longer periods of time and interacting a bit. 637. friends that have become family. 638. light flurries on Christmas. 639. strange warm weather being a tease. 640. clearing out clutter. 641. packages arriving through the mail. 642. Costco membership again! 643. quick coffee. 644. hope for the year ahead. 645. having this place to write…. Next ›the year of: authentic.